Delivering the very best success strategies, captivating key notes, resources, and trainings. We help you take your potential, beyond the max! They're here! eMediaCampaigns! will send your news, story or event as a press release to major news wires around the world! Exemplary service. Guaranteed Results! :: Who is Fran Briggs? :: Your Day to Win! "Stay connected to your dreams; and committed to your goals!" As a professional speaker, renowned author businesswoman, and educator, Fran Briggs delivers powerful, charismatic and high-energy presentations which inspire individuals and organizations alike, to their respective levels of greatness. Her keynote speeches impact, incite and inform. Her trainings transform, tap in and take off! Fran has over 21 years of business and human relations experience and has spent the last twelve years researching, producing and presenting her material. She owns and has founded, several successful organizations including The F. Briggs Group, and The Fran Briggs Companies. 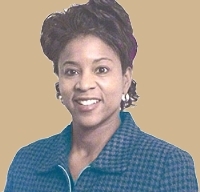 Ms. Briggs delivers specific, client-focused programs which address her audiences needs. Her wisdom, presence, and natural charm, consistently connect her with her audience who stay eager to hear more. Utilizing a powerfully dynamic delivery and little-known material, Fran ignites, inspires, and pulls her audience to their highest levels of achievement. The Fran Briggs Companies delivers the tools, strategies and resources necessary for taking human potential beyond the max. The FBC offers effective, exciting, proven products and services designed to help people exceed their expectations, achieve extraordinary success, and greatly enhance the quality of their life. A leading authority in comprehending, conveying and maximizing human potential, she is recognized as an "Expert Writer/Author" by 47,000 online and offline magazines. Her articles have been translated into several languages. Fran's online contributions are featured alongside with Oprah Winfrey's, Jack Canfield's, Marianne Williamson's, Paula White's, Fran Harris', Governor Arnold Schwarzenegger's, Dr. Stan Harris', Brian Tracy's, Dr. Denis Waitley's and of the like. Fran is the author/publisher of 7 books, and is an "Expert Advisor" to Black Enterprise Magazine. She is also Director of Operations of eMediaCampaigns! -- a professional, dynamically-different, public relations and newswire agency. Ms. Briggs currently resides in Phoenix, Arizona. Free, innovative, twice-monthly newsletter offers tips for living a happier, healthier and wealthier life! "Inspirational Genius...it has been a long time since I have come across someone with such passion for life... Oh, you are good." Sign Up For Your Free Successzine! Click here to sign up for Fran Briggs Free Successzine! Instructions: Click on the link above, your email program will automatically address a sign up email request to Fran. All you have to do is click send! Fran is a leading authority in comprehending, conveying and maximizing human potential and is recognized as a "Self-Help Expert" by www.selfgrowth.com. Utilizing a powerful and dynamic delivery and little-known material, Fran ignites, teaches, inspires, and cajoles her audience to higher levels of achievement. 7 Sensational Seeds for Success! :: Book Fran For Your Next Event!